This paper had some very pretty gold foil on it but I was disappointed it did not show up in the photo. 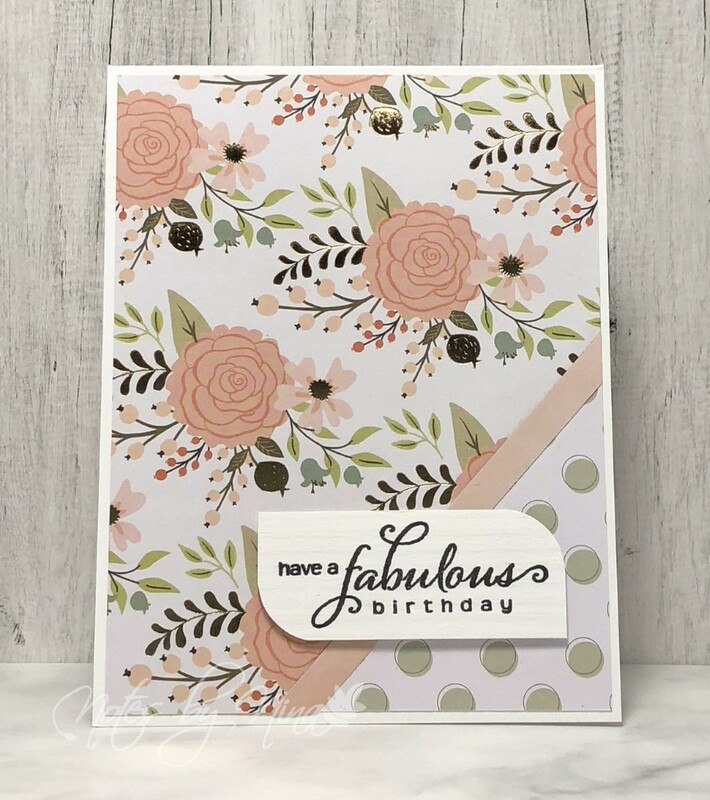 I used a couple of pages from the Bliss 6x6 paper pad for my card. I stamped the sentiment then rounded a couple of the corners and popped it up with foam tape. 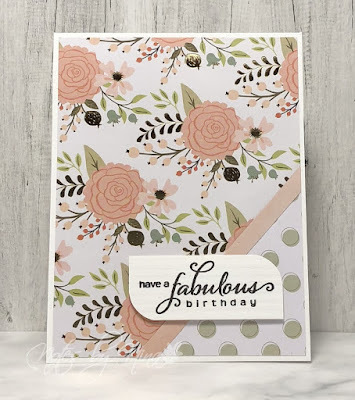 Supplies: White cardstock, Designer Paper - My Mind's Eye, Penny Plack - Heartfelt.